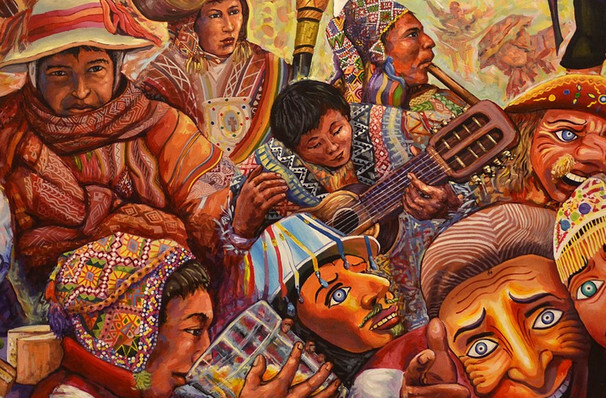 Don't miss this bold program of vibrant Latin American works for chamber ensemble! 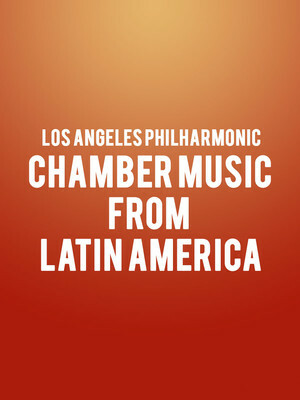 Why See Los Angeles Philharmonic - Chamber Music from Latin America? Lose yourself in the bouncing rhythms, sun-drenched melodies and passionate performance style of a trio of Latin American chamber works as performed by members of the Los Angeles Philharmonic. The exciting program kicks off with French Argentine singer Carlos Gardel's 'Por una Cabeza', an iconic 1935 tango song specially arranged for four cellos. It's name is taken from the Spanish horse-racing phrase meaning 'by a head', referring to its story about a horse-track gambler who compares his racing addiction to his ardour towards women. This is followed by Heitor Villa-Lobos' Quinteto em forme de choros, a single-movement work fro flute, oboe, clarinet, bassoon and English horn composed in 1928 with the intention of popularising the traditional Brazilian urban musical of his homeland's heritage. The evening comes to a close with the stunning world premiere of Mexican composer Gabriela Ortiz's Pico-Bite-Eat. Sound good to you? Share this page on social media and let your friends know about Los Angeles Philharmonic - Chamber Music from Latin America at Walt Disney Concert Hall. Please note: The term Walt Disney Concert Hall and/or Los Angeles Philharmonic - Chamber Music from Latin America as well as all associated graphics, logos, and/or other trademarks, tradenames or copyrights are the property of the Walt Disney Concert Hall and/or Los Angeles Philharmonic - Chamber Music from Latin America and are used herein for factual descriptive purposes only. We are in no way associated with or authorized by the Walt Disney Concert Hall and/or Los Angeles Philharmonic - Chamber Music from Latin America and neither that entity nor any of its affiliates have licensed or endorsed us to sell tickets, goods and or services in conjunction with their events.